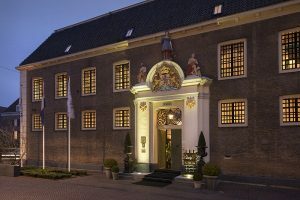 One of the most awe-inspiring tastings and presentations I ever got to do was a recent one in Zwolle, at the renowned restaurant De Librije. This restaurant, ran by Jonnie and Thérèse Boer, was awarded its third Michelin Star in 2004 and has been carrying them ever since. It is probably the best restaurant the Netherlands ever had, and maybe the best we’ll ever have. 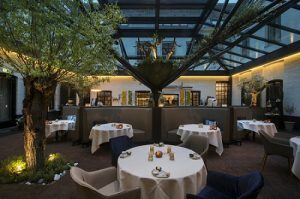 It was awarded the 38th spot on the ‘World’s 50 Best Restaurants’ list in New York recently. 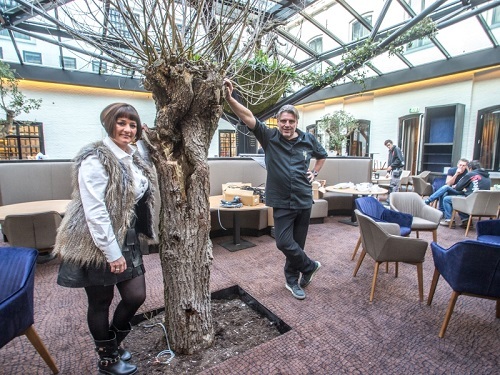 Thérèse Boer is the Host of De Librije and as well as sommelier, together with Sabas Joosten. It was for them and their assistant Gert that my colleague Willem Habing and me got to present on beer. Apparently, guests had been asking for beer and although De Librije has had beer available (it even co-created one with Jopen Brouwerij) the current offering did not suffice. Willem and me carried a global selection of well over forty types and styles to Zwolle, entered De Librije and froze over – completely. The atmosphere was simply stunning, overwhelming, inviting and intimidating at the same time. 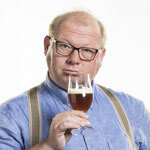 Who were we that we were asked to talk about beer here? I have had dinner at De Librije twice at the old location – quite an experience. Actually, those were intimidating evenings themselves: the attention to every detail is simply stunning. Whether decoration, service and staff, the flowers, the welcome and goodbye: everything is spot-on, bulls-eye, perfect. I did not grow up in an environment where three-star dining was a thing to do, and so for me it was as intimidating and enlightening as the first kiss I ever got. The food, both the way it was presented as well as taste wise, brought – to paraphrase George W. Bush – ‘shock and awe’ to my being. But enough about memories – the future is full of shock and awe too! Given the philosophy of De Librije and thus the way dishes and flavor combinations are being construed, it quickly became apparent that (unbalanced) bitterness was not the way. However, after about two hours of nosing, tasting and sampling some fairly historic words were spoken when Thérèse Boer stated that ‘she had never known these flavors were to be found in beer and that, in fact, we’d taught her to drink beer – and she liked it’. I am not sure what you would have done in our place, but inside we started shouting and dancing like an Indian doing a rain dance. When two of the most well-trained tongues in the Netherlands tell you they’ve been opened up to new horizons it is a bit like Mick Jagger saying ‘You rock, dude!’ or Bono saying he likes your singing. It’s like Rembrandt wanting to buy your painting. In short, we were very proud! So: as of now, you will be able to find a selection of global, phenomenal beers at De Librije to pair to their phenomenal dishes. It hasn’t made it to their website yet, but expect these ten beers to choose from: Oude Geuze Boon, Weihenstephan Hefeweissbier, Maximus Saison 5, Oedipus Thai Thai Tripel, Anderson Valley Boont Amber, Anchor Steam Beer, Orval, Alaskan Smoked Porter 2012, Boon Kriek Marriage Parfait and St. Bernardus Abt 12. The beer menu is indeed mouthwatering itself, being an eclectic mix of beers where both world-wide household names get to the stage, as well as small and local Dutch breweries. If you ever needed a reason to head out to Zwolle: here you are!